I’ve been thinking about some changes we’ve made lately to the way we plan, shop and eat, and I think the whole thing can best be summed up as discipline. I mentioned not long ago that I was making a truly concerted effort to reduce the amount of meat in our dinners, for many reasons — most of them budget-related (hello, pre-teen boys). Since then, I’ve been working hard to build our flexitarian ways, which hasn’t always been met with total enthusiasm from the children. Notably, there was a recent night when 12-year-old L. wandered into the kitchen and asked what I was making; when I said it was pasta Norma, he groaned “We haven’t had meat in AGES” and I couldn’t resist pointing out to him that he’d eaten chicken, corned beef and Chinese take-out the three previous evenings so I was pretty sure he wasn’t wasting away from a lack of animal protein. Still, the kids are now of an age where any serious grumbling can be met with a calm “We’ve already talked about why Dad and I agreed to make this change,” and as a bonus, they’re hungry enough most of the time that as long as whatever’s on the table is edible, they’ll inhale it. Both of these factors make shifting our habits a little easier now than it would have been even just a couple of years ago. In addition to the changes in meal planning, I’ve also changed my long-held shopping habits. Many readers know that I have been an avowed Whole Foods shopper for many years — always price comparing, always trying to work the discounts as much as possible, but a Whole Foods shopper nonetheless. In the past year, however, it’s become harder and harder for me to justify that habit. While quality and prices at Whole Foods have started to waver in ways that aren’t exactly favorable, other grocery stores in my area have started to step up their games. So I decided to try flipping my habits upside-down: Instead of shopping mostly at Whole Foods and supplementing at places like Trader Joe’s, I’d see what happened if I shopped mostly at Trader Joe’s and supplemented at Whole Foods. Spoiler alert: The kids’ college funds are about to get a boost. I’m not saving a mortgage, or anything, but the combined impact of eating a lot less meat and reversing my shopping habits has made pretty drastic impact on our budget. Also, as I’ve been working on these areas, I’ve paid a lot more attention to re-purposing ingredients and trying to use up as much of what’s hanging around as possible so I can keep enjoying the nice low grocery bills. It’s been a challenging experiment, but honestly the biggest thing that’s required of me here is discipline. I have to have the discipline to stick to planning lower-meat menus, to keep fitting the less convenient trips to Trader Joe’s into my schedule rather than going with the familiar easy route, to keep challenging myself to creatively plan to use what’s on hand, and to keep reinforcing for the family that what we’re doing is really better for all of us in the long run, in a lot of ways. It’s a shift in my mindset, to be sure, and while a lot of our meals have been simpler, they’ve required more effort and concentration from me to keep things on track. But I’ve also enjoyed it; I like a lot of what we’ve eaten, and I feel we’re eating and spending well and wisely. 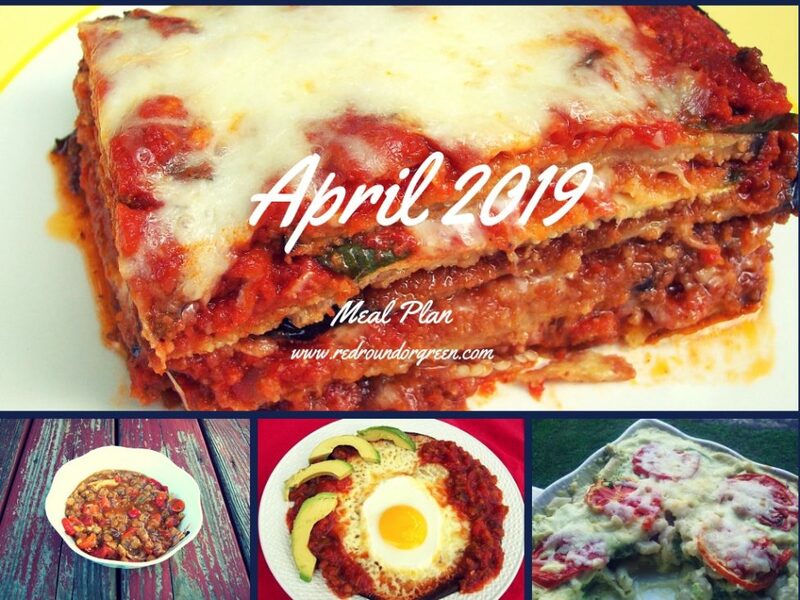 So in April, the quest continues: Reduce our meat consumption to about 50% of dinners, shop more frugally, cook more creatively, waste as little as possible. I think we can make it work. Sunday, 4/21: This is both Easter and my Dad’s birthday. We’ll celebrate with family, but no solid plan yet.